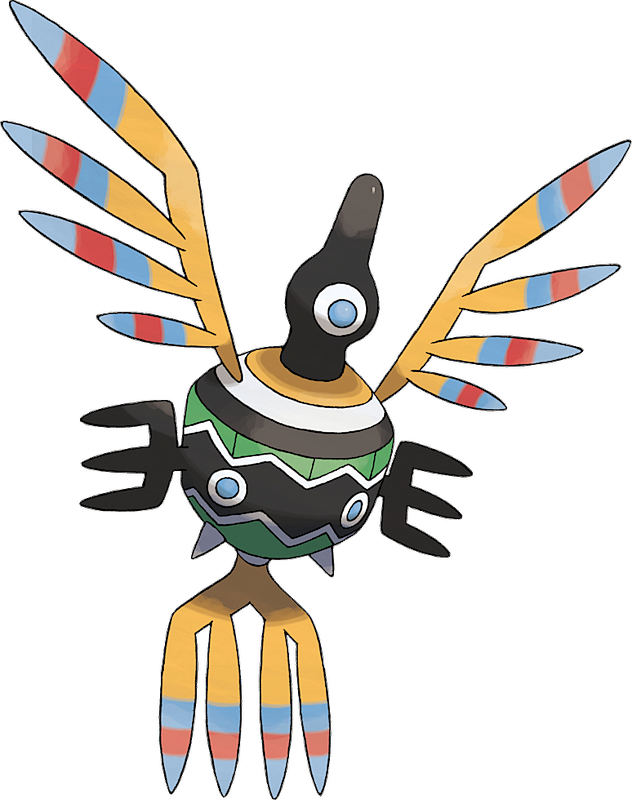 Sigilyph in game: 3,897 Who? Important notice! Pokemon Sigilyph is a fictional character of humans. Sigilyph (Japanese: ??? 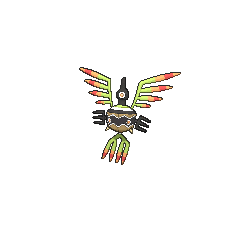 ?— Symboler) is a dual-type Psychic/Flying Pokémon introduced in Generation V.
Sigilyph made its debut in White—Victini and Zekrom and Black—Victini and Reshiram, appearing under the ownership of Damon. He used its power to activate the energy harnessed by the Solosis and Duosion in the Sword of the Vale so he could lift it into the sky. 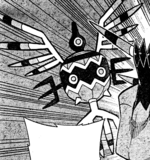 A wild Sigilyph also appeared in the film's World of Pokémon intro, while several more Sigilyph were seen in the Sword of the Vale in the flashback scene to one thousand years prior. A Sigilyph appeared in Explorers of the Hero's Ruin! as one of the guardians of the Hero's Ruin. 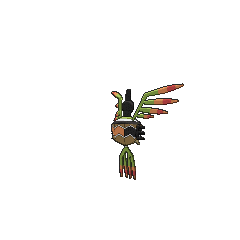 A Sigilyph appeared in Cloudy Fate, Bright Future!, under the ownership of Carrie. 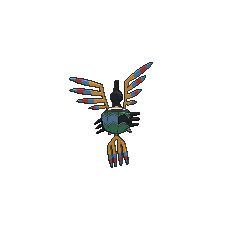 Sigilyph appeared in The Uprising under the ownership of some Team Plasma Grunts. 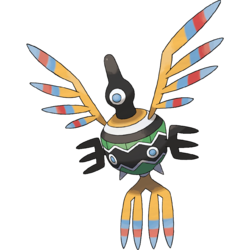 A Sigilyph appears under the ownership of an unknown Trainer in the Black 2 & White 2 chapter where it battled with Whitley's Foongy. 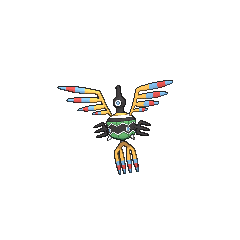 Sigilyph appears to have been inspired by the Nazca Lines, specifically the hummingbird figure, and kachina dolls. Like Sigilyph, the Nazca Lines are found in a desert. It also resembles a wind chime. Sigilyph is a combination of sigil and glyph. It may also draw its name from "sylph", which was a spirit of the air according to folklore. Mandarin Chinese ??? / ??? Xiàngzhengniao Literally "Symbol bird"